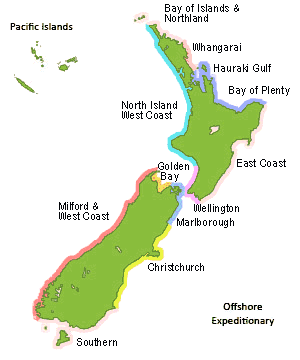 Charter Guide New Zealand with over 150 NZ Charter Boats! Find a boat in New Zealand's largest charter boat directory. Contact charter boat operators directly to make arrangements or call Martina on the Boat Charter Freephone 0800 665 888. Select an area or activity below to see listings of available powerboats, yachts and sailing boats. Skippered or Bareboat, Power Boat or Sailing Yacht Charter? Charter a bareboat and go exploring, or relax in the hands of a professional skipper. Our fully certified kiwi skippers delight in showing you their corner of the world. We have an exceptionally useful links selection and some homemade cruising guides to help you decide where to go and when. Email the owner or our Booking & Advisory Service from any boat page for a quick availability check or quote. Are you a Charter Boat Operator? List a boat yourself online by registering or give us a call on 0800 665 888 or email us and we create the listing for you. If you're already registered, login to create new listings or edit an existing one and update your contact details.